This post is aimed at evaluating whether SABMiller meets Warren Buffett’s and Charlie Munger’s criteria for a great company namely: the company must have an understandable product or service that they render to consumers, durable and sustainable competitive advantage over its rivals, management with integrity, and a strong margin of safety. SABMiller has a similar strategy in place which should make it easy for it to meet Buffett’s criteria. Another relevant question that will be answered after the analysis is whether or not SABMiller is a great investment to a potential investor and this will be accompanied by a small financial analysis. SAB has about 400 products but for the sake of this analysis I would like to pick one that is relevant to our county South Africa, carling black label famously known for being the “champions’ beer”. Carling black label is an understandable product not only because it is the number one beer in South Africa but because people think of it as a daily rewarding refreshment after a long day especially for hardworking men. Carling black label is a winner of 25 International Awards which is why it is known as the champion beer for champion men (Online, 2013). 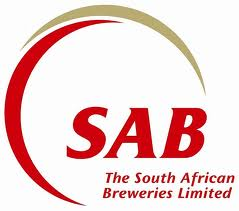 The South African subsidiary (SAB ltd) contributed 22% to the groups’ revenue for the year ended in 2012 and a significant sum of these South African revenues came from carling black label sales, Carling black label sells more every year than any previous year which ultimately makes it a wonderful product as it is superior to its rival beers and carling black label comfortably meets the criteria of being an understandable product (Annual Financial Statements, 2012). Herman Mashaba the chief executive officer of Leswikeng Minerals & Energy Limited defines competitive advantage as being a step ahead of your competitors. When Herman started his company Black like me (Pty) Ltd the one thing that gave his company an edge during hard political turmoil, where people of colour were not allowed to pursue entrepreneurship was competitive advantage. Black like me produced hair products for people of colour, which was a big market at the time and the company was able to distribute products where other companies were afraid to send their people as it was considered dangerous. Black like me reaped fruitful profits at the time and continued to prosper (Mashaba & Morris, 2012). An interesting finding about SAB Ltd (South African subsidiary) is that during the economic meltdown in the year 2008 the share price was not strongly affected. SABMiller’s strategy remained constant, the company reported profits that year unlike its rivals Anheuser Busch inBev that decide to retrench its employees and cut down on discretionary expenditure, which at that time was the common strategy among companies, a strategy that led to losses and an increase in the unemployment rate. SABMiller and its strong brands managed to excel in both Bullish and bearish markets because their beer is unique, difficult to replicate and the consumers felt the need to distress by consuming more of SAB products at stressful times. This is a great demonstration of sustainable competitive advantage. (Sibun & Neate, 2008). According to the oxford dictionary integrity refers to adherence to moral and ethical principles and soundness of moral character. SABMiller has very competent board of directors and managers who have the shareholders and other stakeholders’ best interest at heart and they serve with integrity. The board includes great people like Graham Mackay, Cyril Ramaphosa, Jamie Wilson,Helen Weir and a lot of other people who are known for their strong business ethics and financial intelligence that is not quantifiable. Management is remunerated very well so they have no intention to deviate from their call of duty. In South Africa SAB complies with all statutory requirements and it goes the extra mile to comply with the King III even though the holding company is now in London. Management has very strong ethical principles as well as a very strong social and ethics committee. When you buy a company or part of a company in a form of stocks, you always seek to get the best price that the market can offer and that means buying at a bargain price. SABMiller has a lot of margin of safety mainly because of its strong brands which are inelastic and its competent management; however this will not be possible without the laws of demand and supply from the market as the market perceives SAB to be a strong and resilient company which I also believe, and this is a good enough margin of safety since the noise and other externalities hardly affect the share price of the company. I am not here to say buy SAB shares but I can assure you that SAB meets the above criteria very well and who knows…maybe Buffett has his eye on SAB. A short Du Pont analysis on SAB will be posted soon.